Andrew Brown from The Guardian interviewed me about the Ndiyo project. 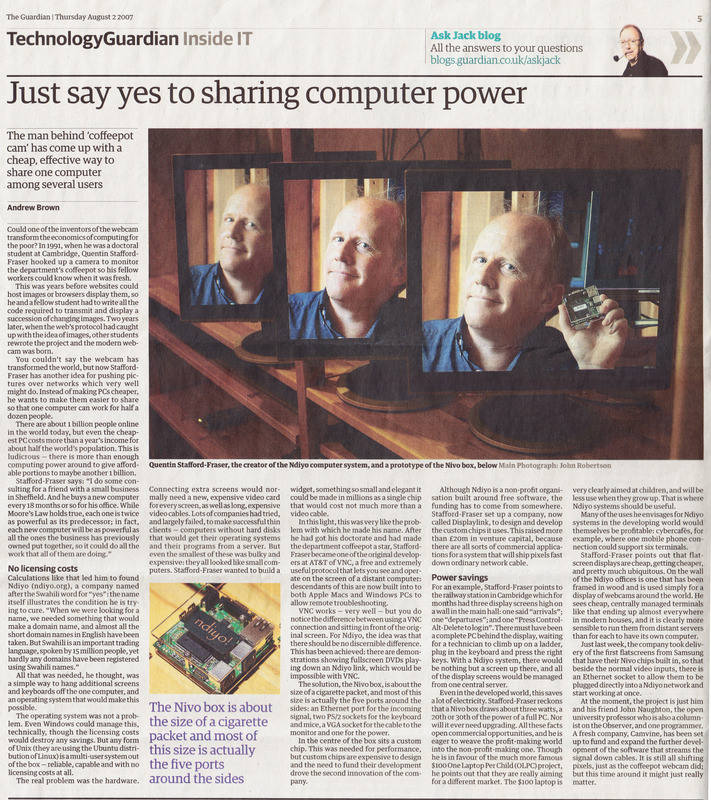 Home / Talks & Interviews / Just say yes to sharing computer power . Click the button at the top for more.